Google has semi-officially confirmed long-standing reports that it will deploy a “buy button” for Google Shopping results on phones, with Google chief business officer Omid Kordestani calling the launch “imminent” at this week’s Code Conference. 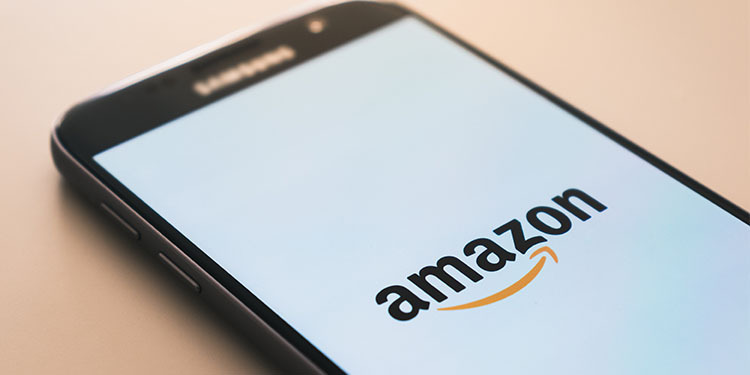 Earlier this month, the Wall Street Journal’s Alistair Barr and Rolfe Winkler offered new details on Google’s rumored buy button plans, noting that, with this change, shoppers could complete their purchases from a retailer without ever going to the retailer’s site. 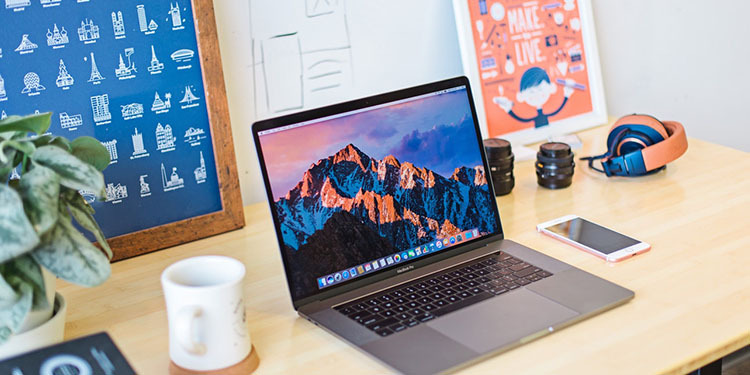 Instead, a click on the Product Listing Ad buy button would take the user to a Google-created product page where they would be able to complete their purchase and provide Google with payment information that could be stored for quicker future purchases. Ever since Google replaced free Google Product Search listings with paid Google Shopping ads, there has been speculation about whether Google would eventually become more like a true marketplace in order to better compete with the likes of Amazon and eBay. The buy button and the implementation described in the WSJ would be a step in that direction, although many fundamental differences would remain. Still, the addition of the buy button will be the most significant change Google has made for search ads since the launch of Enhanced Campaigns. When the WSJ originally outlined Google’s plans for a buy button program in late 2014, reporters Barr and Winkler didn’t offer as many specifics, leading to some common concerns in the industry about how the details would shake out. With any major change like this, such a response is understandable, but Google appears to be addressing some of the larger concerns that were expressed. 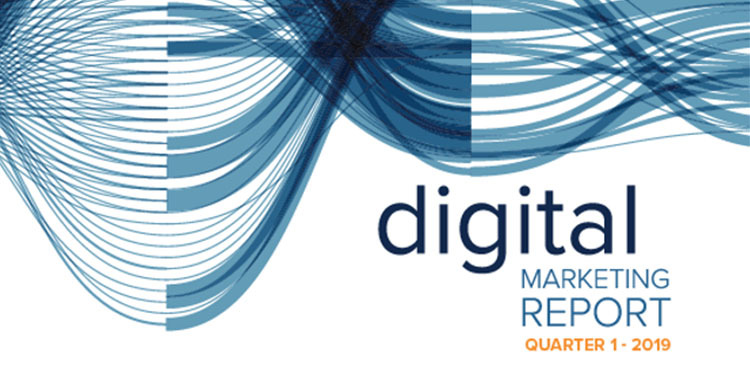 Rich data is vital to proving the value of search advertising and optimizing future investments across media channels. The form that data takes is also critical to how the nuts and bolts of making those investments work, so the further details of this data sharing will be important for the success of the buy button and other advertising. Why Mobile and What’s at Stake? It’s not surprising for Google to implement buy button functionality on mobile devices before desktop. Mobile devices have rapidly gained traffic share as desktop growth rates have slowed, but it’s widely known that phone CPCs still lag those for desktop. In Q1, 44% of Google search ad clicks were on phones and tablets according to Merkle RKG data and Google recently confirmed that over half of all searches are now mobile in the US, as well as in nine other countries. At the same time though, the average revenue per click advertisers generate from phones is 63% lower than what they generate from desktop clicks. 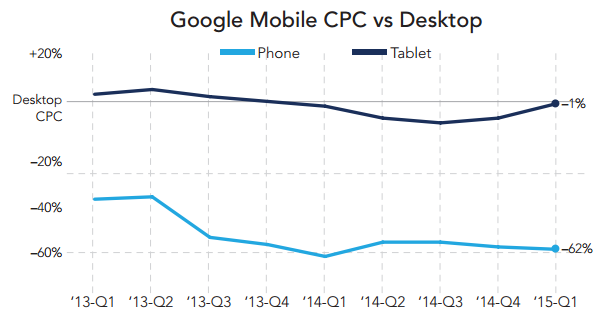 As a result of performance like this, phone CPCs run quite a bit lower than desktop -- about 62% lower overall and about 50% lower for non-brand traffic. Simply put, advertisers would love to see phone traffic convert better online, and Google would love to see phone CPCs jump. Google’s recent mobile-friendly algorithm update can be considered in a similar light. Before the change rolled out in late April, our research showed that 29% of Internet Retailer 500 sites did not comply with the standards Google was laying out, while nearly half of Fortune 500 sites did not comply. A mobile web that does not work well consistently across sites discourages more complex mobile activities like actually buying stuff. That’s bad for Google’s CPCs and it’s bad for advertisers, even those that have invested in a good mobile user experience for their customers. Google rolling out the mobile-friendly update, as well as how much they hyped it (maybe overhyped it), was coercive and effective at getting more companies to invest in sites that work well on mobile devices. It may be callous and oversimplifying things a bit to say that this change was ultimately about driving up mobile CPCs as well, but improving the functionality of the mobile web should have that effect in the long run. It will also encourage users to use the mobile web more instead of resorting to apps. In the short run, however, Google clearly still sees an opportunity to “remove friction,” as Kordestani put it, from the mobile buying process by taking advertiser websites out of the equation all together. While advertisers may not like losing control over the customer experience, a major change like the buy button has the potential to accelerate the process of shoppers becoming comfortable buying products from their phones in ways that individual site redesigns can’t. Scale is going to be the critical factor here. One site creating a more mobile-friendly shopping experience is not going to have much effect on overall consumer behavior, unless that site happens to be Google. By becoming a (larger) repository of payment information and credentials, Google can also go a long way towards eliminating the barriers of having to enter different checkout forms on different sites on a phone screen that is still relatively small compared to a desktop, laptop or tablet. Importantly though, the buy button test will reportedly only impact a “small percentage” of Google traffic in the beginning, so we may have a long wait ahead before we know just how well a fully-scaled program will work. If Google can get traction with the buy button from both advertisers and users, the gains from improved conversion rates should be meaningful, but the bigger win may come from growing, or at least maintaining, the share of shoppers who think Google first when starting the buying process rather than Amazon, eBay or an app. This too will be a process that plays out over months or even years once the buy button program is full-scaled, but we will certainly be keeping a close eye on the performance data along the way.